Are you missing the mark when it comes to capturing Millennials or Generation Z? 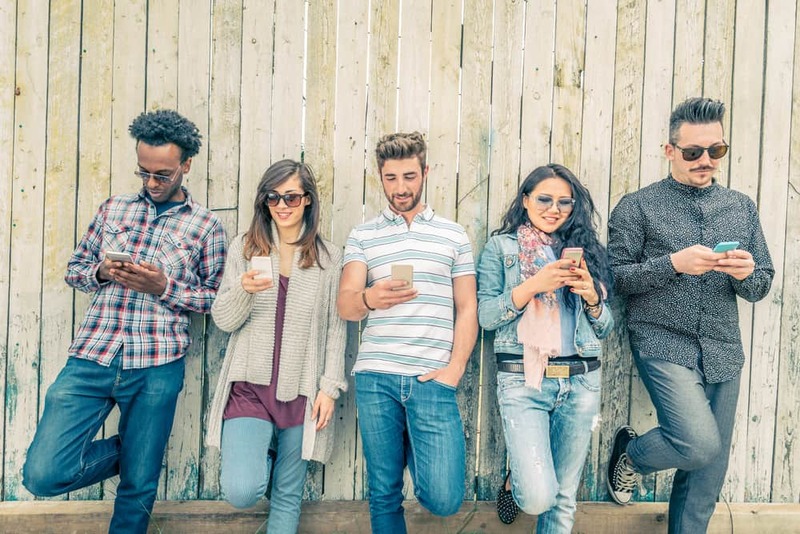 Whether you see it in branch or in your numbers, it might seem like Millennials and Generation Z are missing from your audience. You are not the only financial institution witnessing this shift. 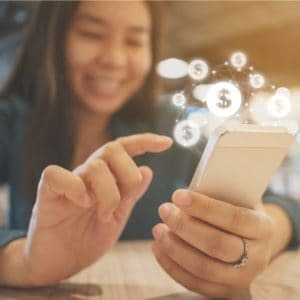 From Millennials who have lost trust in banks to Amazon Cash that targets Gen Z who don’t carry cash, these generations are moving farther away from traditional banking. Millennials and Generation Z live in the now and want access to all financial offerings at a moment’s, or even a second’s, notice. However, some financial institutions don’t have the budget or technology to create this digital environment. But what if you could take your financial institutions basic offerings and amplify them with digital solutions and products to draw in Millennials and Generation Z? This is where a partnership with a fintech could take your institution one step above to stay on pace with these generations. Financial technology, or fintech, has grown into more than a buzzword—it’s the disruption of digital banking. Fintechs are creating a huge range of products, technologies and business models changing the financial services industry. These offerings can be anything from peer-to-peer lending apps to crowdfunding websites to robot or “robo” advisors. Over the past few years, the rise of fintechs has surged, and it’s not hitting the brakes any time soon. 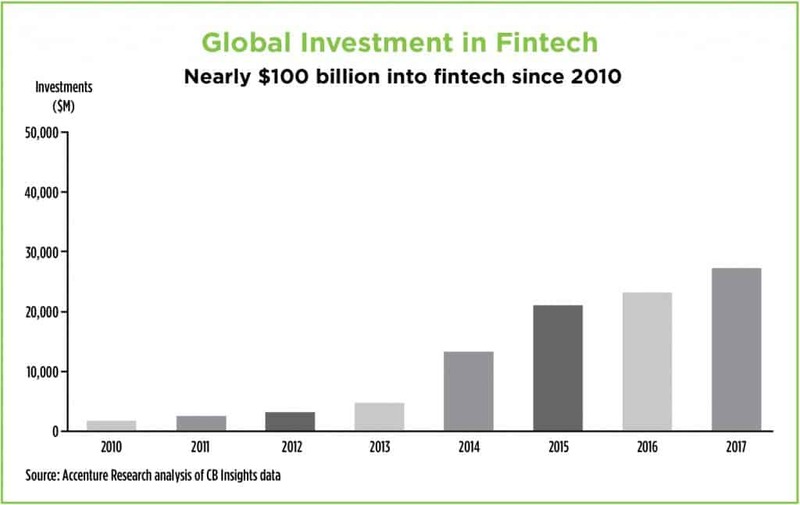 Over the past seven years, global investment in fintechs has added up to nearly $100 billion and in 2017 alone investments surged 18%. Fintechs exist to fill a void for people who don’t have access to traditional banking services or are ready to leave them behind, like Millennials and Generation Z. Fintechs can take online and in-branch services and offer access to everyone regardless of where they are in the world. Think about Venmo, Cash App or Zelle, for example. Traditional banks allow customers to transfer money to accounts outside the bank, but there’s often a fee or a waiting period. Mobile payment apps, on the other hand, allow users to transfer money to others regardless of their bank and without a fee. Rather than looking at this disruption with fear, traditional banks and credit unions need to tap into this multibillion-dollar opportunity and, more importantly, capture the attention of Millennials and Generation Z.
Partnering with a fintech can bring in or bring back the younger generations who have been turned off by old-school banking and have formed a negative attitude toward for-profit financial institutions. Younger generations want to pay with their phones, track their spending, apply for a mortgage, all within a digitally cohesive environment, whether it’s on a website or in an app. If your financial institution doesn’t have the resources or budget to create this type of environment, you can turn to a fintech who has the knowledge and experts at hand. The business models for Millennials and Generation Z have been built on their consumer behavior. Some won’t write a single check in their lifetime and other will never step inside a branch. “While giving a digital media presentation at the University of Florida, I asked a room of about 125 young students how many had stepped inside a branch. 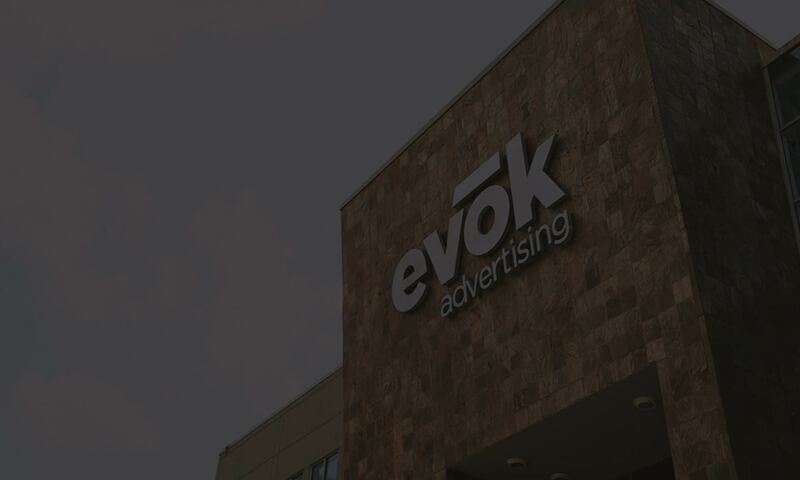 Only two people raised their hands,” says VP of Strategic Planning Stewart Hill at evok advertising. Stewart emphasizes that these generations have been bought up in a mobile social environment. They have been able to ask for what they want, when they want at any given moment. This is why fintech products, apps or software fit seamlessly into their lives—it’s 24/7, unlimited access to what they want within arm’s reach. Once you have decided it’s time to partner with a fintech to pull in the generations who have forgone traditional banking, you have to put yourself into their mindset. When you can put yourself into their shoes, you can create a successful partnership. Millennials and Generation Z want to know what these companies who provide digitally centric services, apps and accounts stand for or behind. According to a 2017 survey by Cone Communications, 94% of Generation Z and 87% of Millennials believe companies should address social and environmental issues. When you’re researching a fintech to partner with, make sure you choose one to match what your customers look for in a brand. If you’re unsure where to begin, ask your current younger customers. Does your brand have a sense of altruism? Do they want you to be involved in the community? If your audience wants that, then you need to give it to them. Brainstorm with your team and create your own community programs or look up to behemoths like Google who gives employees 20 hours of work time each year to volunteer. In short, to have a successful partnership with a fintech, you have to connect the dots from what your consumers want to their mindset. It’s not just about receiving an instant transfer or depositing a check with a phone, but rather, what the brand itself stands for. Yes, they want those products and features, but the brand should say something more. After you research what your customers want and announce your new corporate social responsibility platform, you have to deliver on it. Whether it’s keeping them updated about your efforts via Instagram or urging them to join your volunteer days with personalized emails, Millennials and Generation Z will make sure you stay true to your promise. They have access to any review, fact and article available and are willing to do their research on the companies they are buying from. In their eyes, everything your company does and says is rolled into your brand’s identity. And if your company doesn’t deliver on what it says, they will quickly push you to the side and find another financial institution that aligns with their values and beliefs. With each generation comes a unique set of ways, principles and lifestyles. Millennials and Generation Z grew up in the rise of technology and the age of instant gratification. Traditional banking lags behind with how these younger generation work and live and unintentionally creates a void. But partnering with a fintech who stands behind a cause or purpose can fill it.